San Diego Jewelry Buyers & Loans (SDJBL) has announced that it has moved to a new location across from the San Diego Jewelers Exchange building. SDJBL’s new address is 907 6th Ave. The new showroom and offices take up the entire NE corner of 6th and E Street, at the same intersection as the Jewelers Exchange (861 6th Ave.), but on the opposite side of E Street. San Diego Jewelry Buyers & Loans’ new location has increased visibility, with floor to ceiling windows covering the entire NE corner of 6th and E Street. It also provides customers with greater privacy and comfort. There is a showroom, coffee lounge, back office rooms including kitchen and pantry, and six separate individual offices, including private buying/consultation rooms and a small workshop for in-house jewelry repairs and custom work. Since the new office suite is less than 100 feet from the San Diego Jewelers Exchange and its wide variety of specialist craftsmen, customers who purchase estate diamonds and precious gemstones from SDJB at wholesale prices can still have them easily set into custom-made fine jewelry crafted by the Exchange’s jewelry artisans. An internationally recognized jewelry designer as well as one of San Diego’s most prominent fine jewelry buyers, Blackburn often advises diamond jewelry shoppers, especially future newlyweds, on how to best design a gold or platinum ring around an affordable estate diamond purchased at SDJB. Blackburn is also a recognized spokesperson regarding ethical business practices for gold and jewelry buyers, having last year been interviewed by Sasha Foo of KUSI TV News. Ms. Foo, a former CNN anchor, sought Blackburn’s advice on how San Diegans can avoid getting scammed when selling their gold. 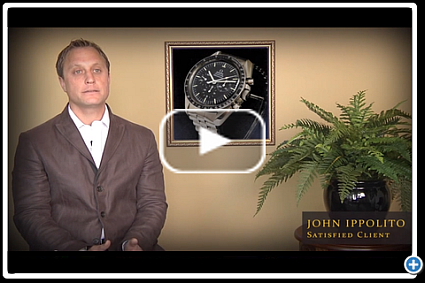 Consumers seeking further advice can find it on the SanDiegoJewelryBuyers.com website, which is filled with helpful articles such as Tips on Selling a Used Rolex, How to Sell a Used Diamond, 7 Quick Questions to Ask a Gold Buyer, and Appraisal Tips for Jewelry Sellers. To set up an appointment at their new offices and talk with Carl Blackburn personally about any precious asset you wish to sell or receive a collateral loan on, please call SDJB toll free at: 800-557-9413. 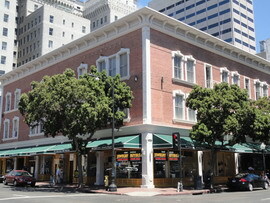 Located across from the Jewelers Exchange Building in the gas-lamp quarter of downtown San Diego, SDJBL leverages over 30 years of industry experience and fine jewelry expertise to make certain that customers receive the fairest cash offers and loans for their diamond/gemstone jewelry, and premiere brand watches.